The Best Pittsburgh Blogs from thousands of Pittsburgh blogs in our index using search and social metrics. We’ve carefully selected these websites because they are actively working to educate, inspire, and empower their readers with frequent updates and high-quality information. 2.4 Good Food Pittsburgh - Don't Just Eat. Eat Well. Pittsburgh newsletter is a comprehensive summary of the day's most important blog posts and news articles from the best Pittsburgh websites on the web, and delivered to your email inbox each morning. To subscribe, simply provide us with your email address. Pittsburgh, PA About Blog Are you looking for up-to-date things to do and see in Pittsburgh? Discover the Burgh is a Pittsburgh blog that has a quest to do everything the city has to offer! Facebook fans 101,334. Twitter followers 4,129. Pittsburgh, PA About Blog NEXTpittsburgh is the online source for Pittsburgh news about movers and shakers moving the region forward and the innovative things happening here. Facebook fans 32,406. Twitter followers 17,299. Pittsburgh, PA About Blog I heart PGH is a blog about Pittsburgh and people who love this city. Find information about people, places and events that make Pittsburgh, Pittsburgh. Facebook fans 5,911. Twitter followers 55,111. 4. Good Food Pittsburgh - Don't Just Eat. Eat Well. Pittsburgh, PA About Blog Good Food Pittsburgh is an online magazine that shares news and tells stories about the people, places and events that make up Pittsburgh’s thriving food community. It provides information about what’s happening in and around the city, from restaurant openings and event previews, to in-depth profiles on the chefs, restaurateurs and food producers in the area. Facebook fans 28,802. Twitter followers 4,316. Pittsburgh, PA About Blog What makes Pittsburgh, Pittsburgh? Information about the most livable city in the USA and links to help you enjoy the experience. Find latest posts from Popular Pittsburgh featured articles on Food, Dining etc. Facebook fans 1,253. Twitter followers 481. San Francisco, CA About Blog Community curated front page of Pittsburgh's place on the internet. Find news, events, and thoughts with/about the Pittsburgh community. Facebook fans 1,186,732. Twitter followers 553,934. Pittsburgh, PA About Blog The Pittsburgh Post-Gazette is Western Pennsylvania's largest newspaper. Follow to keep up with latest Pittsburgh News and information on Sports, Business, Entertainment, Dining, Life, Opinion & Multimedia. Facebook fans 121,824. Twitter followers 154,065. Pittsburgh, PA About Blog Your best source for quality Pittsburgh Steelers news, rumors, analysis, stats and scores from the fan perspective. Behind the Steel Curtain, SB Nation's Pittsburgh Steelers blog, has been described as: "Thoughtful discussion with a sense of history." Facebook fans 77,309. Twitter followers 20,773. Pittsburgh, PA About Blog Pittsburgh's alternative newspaper features news, dining reviews, restaurants, music reviews, movie & film reviews, opinions, arts & entertainment, and culture. Facebook fans 29,147. Twitter followers 48,791. Pittsburgh, PA About Blog Downtown Pittsburgh is essential to the region–the metropolitan heartbeat where business, culture, and entertainment intersect. Their mission is to advance initiatives that foster economic vitality and improve Downtown life – for a moment or for a lifetime. Find out what's new, what's cool and what's up in the 'Burgh! Facebook fans 19,320. Twitter followers 94,025. Pittsburgh, PA About Blog A Pittsburgh-based fashion, travel, beauty, and lifestyle blog that started in 2009 by Sydney Carver. Summer Wind focuses on classic style and approachable luxury. Facebook fans 3,272. Twitter followers 4,122. Pittsburgh, PA About Blog Whether you have lived in the city your whole life, you’re a new resident of the Burgh, or you’re just making a pittstop, this blog has something for you. We are setting out to capture the beauty of this city through food, fashion, and fun. In addition, we hope to provide you with some advice & insight as we learn to navigate the adult world after graduating from college. Facebook fans 260. Twitter followers 96. Pittsburgh, Pennsylvania About Blog A Boho Fashion & Lifestyle Blog Based in Pittsburgh. Stick around for girly boho fashion with lots of blush pink, boho inspired decor, lots of florals and recs. for PGH, Lanc, and more! Facebook fans 1. Twitter followers 330. Pittsburgh About Blog I am a Pittsburgher who enjoys cooking & eating, tea & baked goodies, cross-stitch, reading, movies, traveling, sports, and snuggling with my husband. PA About Blog Design by Occasion was launched in 2010 and has evolved with a passion to create and decorate, a designation devoted to creating the chicest home, entertaining in style, and a source of lifestyle inspiration. Facebook fans n/a. Twitter followers 46. Pittsburgh About Blog The Pgh Momtourage was started in 2009 by Kelly Hughes as a play group to connect with moms all around the city! We are a group of Pittsburgh moms who love to connect with other moms, sharing in our experiences (& the craziness!) of motherhood. Facebook fans 10,743. Twitter followers 1,301. Pittsburgh, PA About Blog Pittsburgh City Girl is all about Chelsea's running and general life adventures in the great city of Pittsburgh. Facebook fans 330. Twitter followers 1,109. Pittsburgh, PA About Blog Keep up to date with the latest information on food by Mindful Pittsburgh Foodie Blog. Pittsburgh, PA About Blog Information and events affecting Pittsburgh's construction and real estate market. Facebook fans n/a. Twitter followers 596. Pittsburgh, PA About Blog ​Hi, I'm Ken! A Coach and Trainer based in Pittsburgh, PA, with clients across the globe. I'm passionate about running, cycling, triathlon, and health. Pittsburgh Runner helps athletes at all level learn to improve their running form, train for races, and build strength training plans to accomplish specific goals. Facebook fans 195. Twitter followers 249. Pittsburgh, PA About Blog I’m Nicole Marcus. I was born and raised in Pittsburgh, PA. I started this blog as creative outlet for all the things I love. On this blog you’ll find beauty, fashion and home decor inspo. I hope to share some tips and tricks I’ve learned along the way, and hopefully inspire you to be the best version of yourself. Facebook fans 86. Twitter followers n/a. 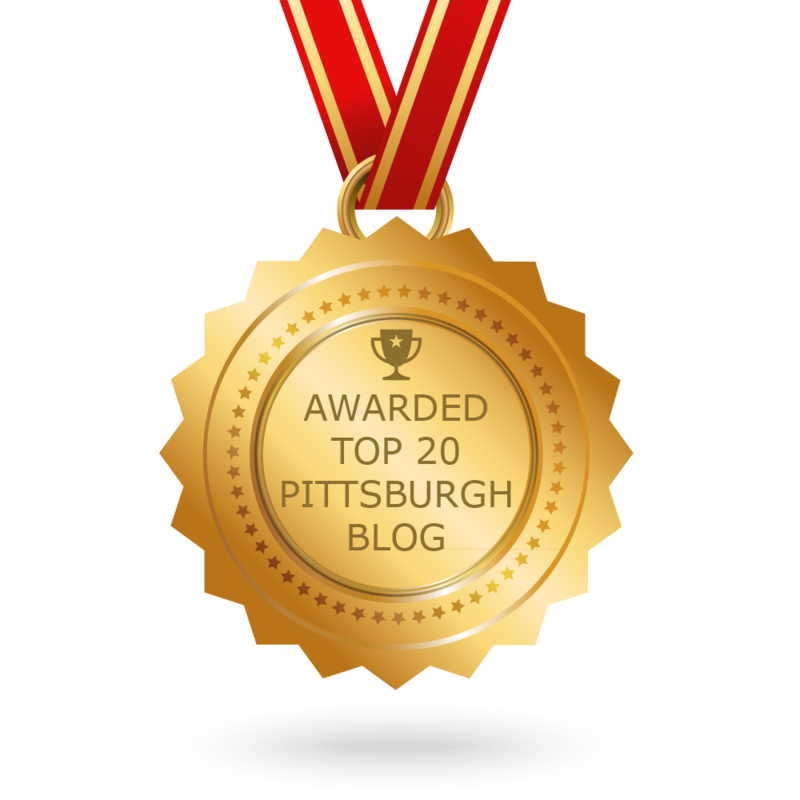 CONGRATULATIONS to every blogger that has made this Top Pittsburgh Blogs list! This is the most comprehensive list of best Pittsburgh blogs on the internet and I’m honoured to have you as part of this! I personally give you a high-five and want to thank you for your contribution to this world.